When I traveled to Kuala Lumpur ( 15 April 2014 to 20 April 2014 ) and gave information to 4 government officials and 15 MAS officials on 2 different days of briefings it was elements of his ( Tun Dr. Mahathir bin Mohamad ) earlier administration to whom I spoke. 4 individuals from his 1981-2003 term were the individuals representing the government that were at my briefing. It was that group which included a state governor, a state chief of police, Tun Dr. Mahathir bin Mohamad’s personal and legal counsel and one additional representative to which I addressed my warning that if they did not make public the BUAP and ATI that they should expect a SECOND EXPLOSIVE EVENT prior to 1900 on 17 July 2014. The MH17 incident was that second explosive event and would be my testimony in any deposition or open court proceeding that may be arranged. Had the sitting government of Najib Razak shared that truth with the world MH17 could not have occurred because the airframe 9M-MRO would have been located and been deemed evidence of a crime. As you must know I am providing 100% of the intellectual property that will be displayed in an upcoming DocuDrama DVD titled “WHERE DID MH370 GO?” and it is very fortunate for all involved in the truth that Malaysia’s FINAL REPORT will precede the November release the DVD as our DVD will become the standard by which all previous reports will be judged. The reason I agreed to be deposed in NYC is because of evidence of an apparent bribe of approximately $700M that flowed from Saudi Arabia to NYC to KL to Najib Razak. The reason I offered to be deposed in Washington is that is the location of the Court of Rosemary M. Collyer where CIVIL CASE 1:08-1600 (RMC) had a proceeding on 19 January, 2011 where, if the case had not been dismissed in a FRAUD UPON THE COURT the truth of the BUAP’s links to 9/11 would have exposed the BUAP and ATI to the world and neither MH370 nor MH17 could have occurred. Short answer…..yes, Tun Dr. Mahathir bin Mohamad is aware of my intellectual property and I am confident he will deliver truthful information when he addresses the subject tomorrow. Matthias Chang is also aware of my intellectual property as he was incarcerated in2015, began a hunger strike and was released by Najib Razak ONLY AFTER my offering to FBI in New York City and Washington DC to provide a deposition regarding the elements of truth regarding MH370, BUAP, ATI and my opinion that if the BUAP and ATI were not shared with the world that a SECOND EXPLOSIVE EVENT would occur “no later than 1900 on 17 July 2014”. Najib Razak’s government did not share the information but rather imprisoned Matthias Chang and the event that I had predicted occurred. The reason I suggested a second explosive event is because I knew they had to get rid of the evidence including airframe 9M-MRO and 239 corpses. The script for upcoming DocuDrama DVD is in rough form and in a safe place concealed in the body of a collector car in Wisconsin. 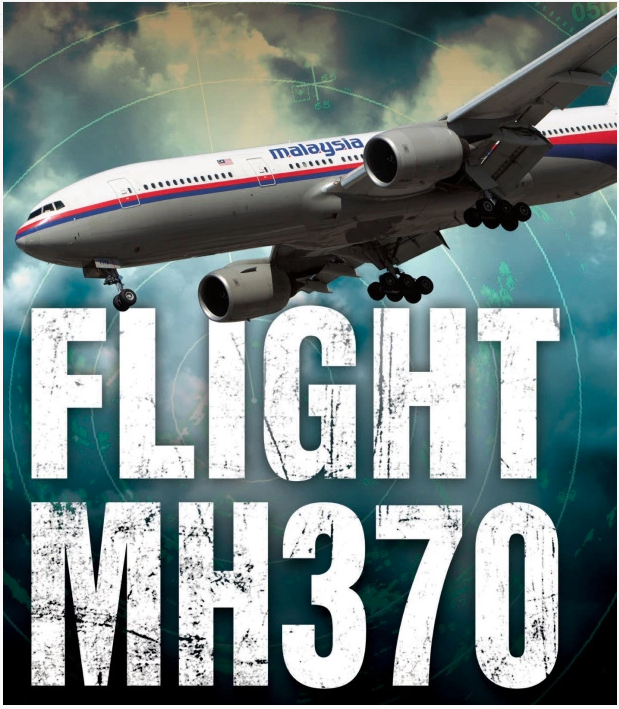 A final edit f the script will be completed very soon after MH370 FINAL REPORT is released to the internet following the event scheduled for Monday, 30 July, in Kuala Lumpur. Regarding what Dr. Mahatir Tun Muhammed knows, I am confident he knows all that I know. It is my belief that he would also be well aware of your profusion of information as his personal counsel is an Attorney who in 30+ year practicing law never lost a case on which he was the “lead attorney”. The point being Matthias Chang does PERFECT discovery. Armed with vast information from you in New Zealand and me in US I have great confidence that Dr. Mahatir Tun Muhammed will speak the truth. In my mind the government of his predecessor is responsible for obfuscating truth of MH370 and enabling MH17 to destroy the evidence both the airframe and the corpses. ps….the additional information below in green does not compel me to adjust my comments above but rather establishes more evidence that words to be spoken in Kuala Lumpur tomorrow will be truthful. The DVD DocuDrama “WHERE DID MH370 GO” will also be truthful and I see no indication that Minister of Transport Anthony Loke, Dr Mahatir Tun Mohammed, Matthias Chang and I have any points upon which we do not agree. None. Malaysian prime minister to release final report on 370 monday. It will be available online afterwards, however, the report will be delivered in a closed door briefing, followed by a news conference. Former Prime Minister, Tun Dr Mahathir Mohamad, suggested a remote takeover took place to counter a hijacking attempt. “The capacity to do that is there”. he said in March. “The technology is there. You know how good people are now with operating planes without pilots. Even fighter planes are to be without pilots. Some technology we can read in the press but many of military significance is not published”. It will be interesting to see if the truth is revealed. This new administration is above board, unlike the Rajib lot before. The NZ Herald report states in it’s headline that the final report will put the mystery of MH370 to an end. We can only hope this report presents the truth and truly does bring closure. The remaining factors will to get compensation for the surviving families, and to hold those responsible for their acts to justice and to expose to the world who and what were ultimately behind this criminal and cowardly incident.